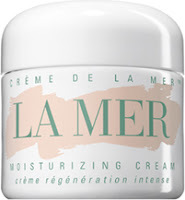 "La Mer cream is my favorite. It’s more of an investment, but it really does work". Rachel uses La Mer cleansers and The Moisturizing Lotion also comments that La Mer her favorite for skin. "It is very expensive but it lasts virtually forever".